Gold Coast's A Cappella Revolution is here again! Take part in the biggest a cappella workshop in Australia! 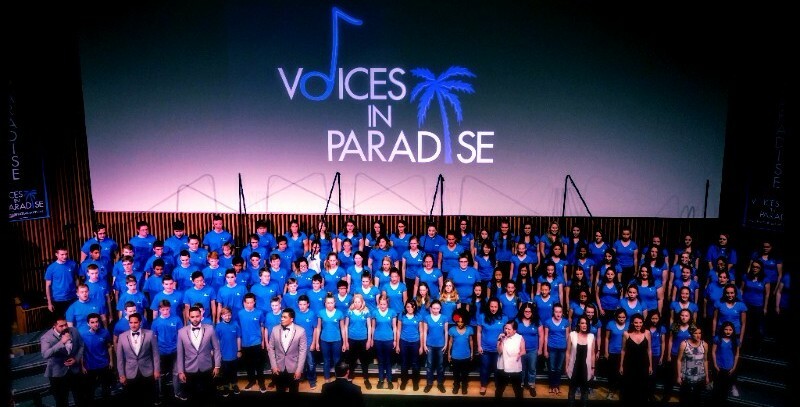 Voices in Paradise is held once a year and features coaching from top-level artists. After registering, you will learn a cappella arrangements of several popular songs including arrangements from the movie Pitch Perfect. On the day of the workshop you'll train these songs with your coaches and then perform them for a large audience of up to 650 people that same night! 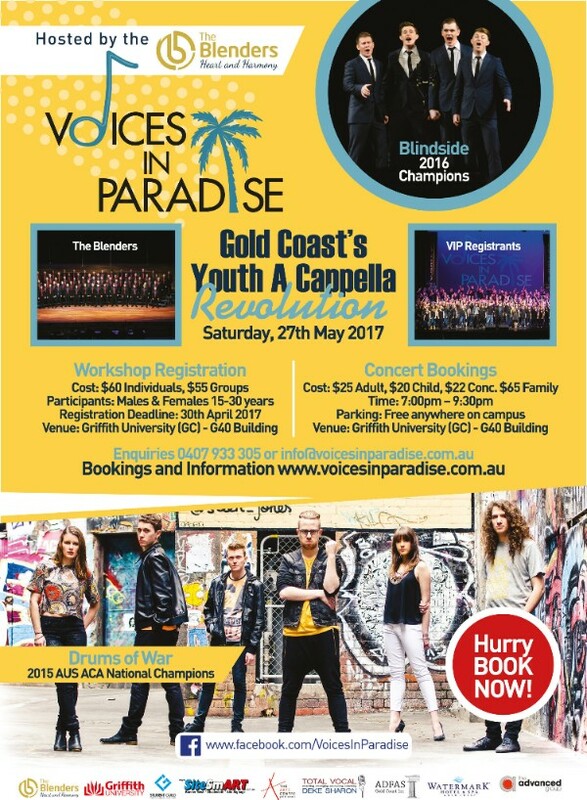 Voices In Paradise, "The Gold Coast's a cappella revolution", is an initiative between The Blenders Chorus and Griffith University. VIP is known to attract the largest a cappella audiences in all of Queensland. This youth development event is a workshop and concert combined into a single day of quality education and world class performances by the best Australia has to offer. Singers who register for the workshop will participate in an all day singing workshop at Griffith University. They will be trained by world renowned educators like the National A Cappella Champions 2015, Drums of War, and 2016 Australian Barbershop champions, Blindside. After a hard day's work the singers will showcase their final product for the community of a cappella lovers for a one night only concert. Workshop places are limited so register now to secure your spot! Registrations close at the end of April.